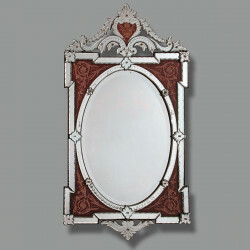 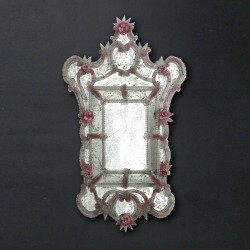 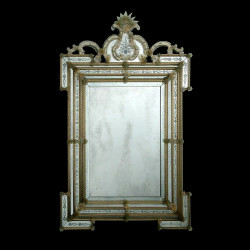 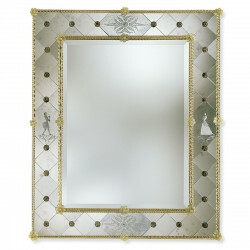 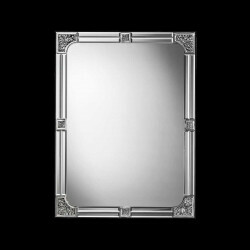 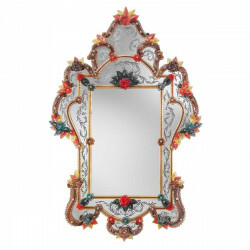 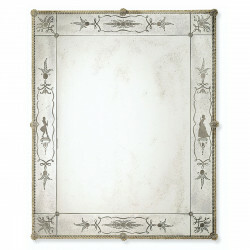 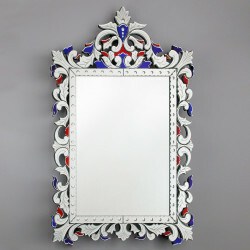 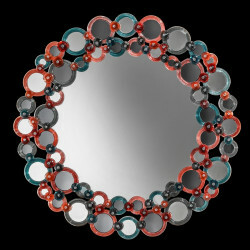 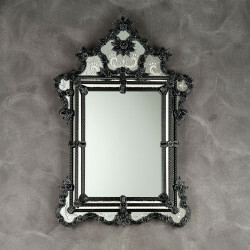 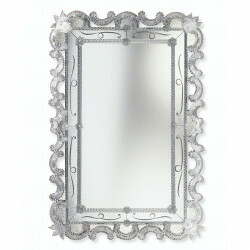 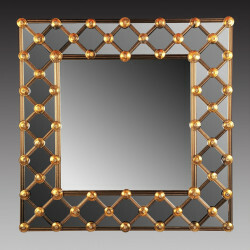 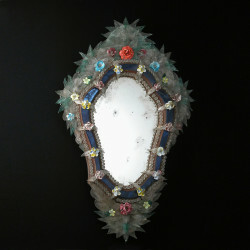 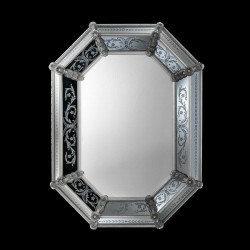 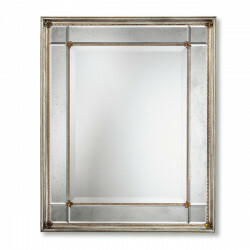 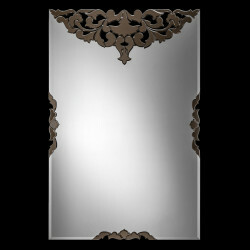 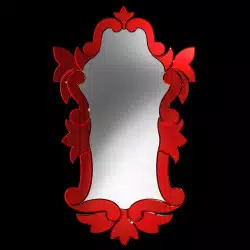 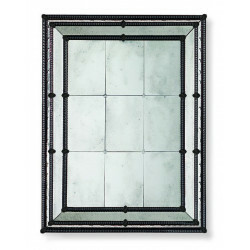 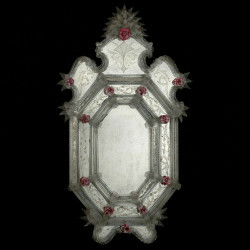 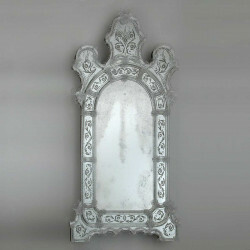 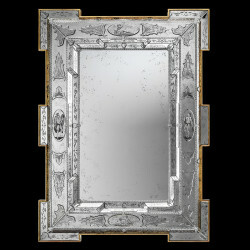 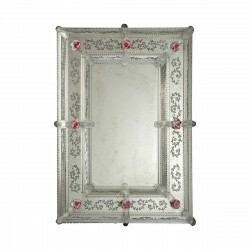 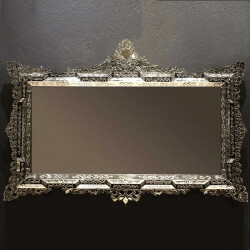 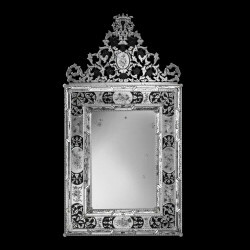 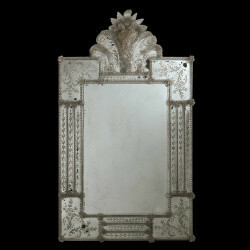 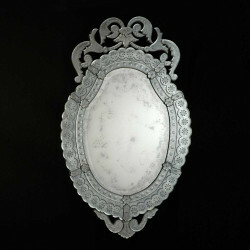 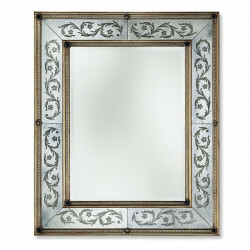 Simply stunning, this true Venetian mirror is delightful with its antiqued gold frame and floral accents. 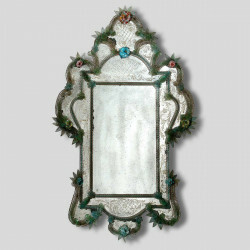 the lattice work on the glass border was further enhanced by dark glass details and ornate glass engraving which is a classic Muranese craft. 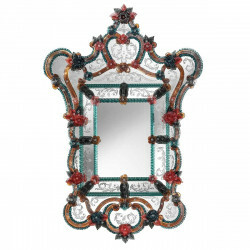 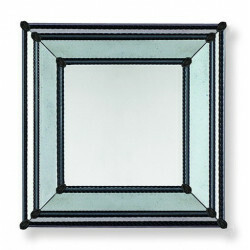 The authentic Murano glass is raised a bit, creating a prismatic effect along the corners. 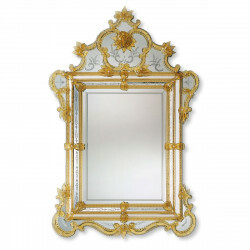 This is simply a precious piece to have at home.